Last summer is a complete blur of sleep deprivation, learning about babies, and trying to transition to a work-at-home mom. I don’t even remember what I did or how I looked when I did it. It’s crazy to think it’s been 16 months since having a baby, because I still feel very much post-partum. This summer feels different, in that I’m actually rested enough to know what season it is. 🙂 I feel a bit more like me again. I *finally* made time this last week to color and cut my hair. I’m off the henna. It just takes too damn long! I gave all of my stash away. 😦 So I did a DIY box color during Hannah’s nap time one day, and my mom watched her while I went and got a haircut. It’s a really choppy-layered long a-line bob. 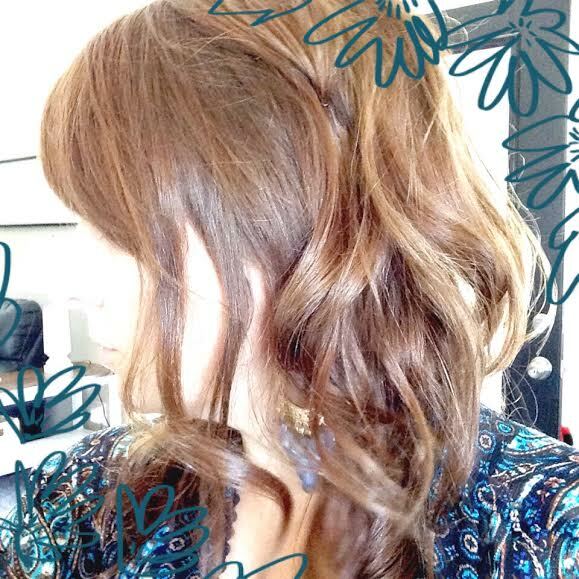 It does the messy-wave thing quite nicely, and I love that style because a little heat and humidity doesn’t mess with it too much, and I can extend it a few days with just a couple of touch ups, some dry shampoo, and sea salt spray. Hooray for low-maintenance! Perfect mom hair. Hubby and I have been talking about actually going on dates again. We need it. Well, at least I do. I need conversation without distractions and I need a break from the 24/7-ness of having a toddler. But it’s embarrassing to admit that I have (nearly literally) nothing to wear to go out. At least not in the warm season. At least not if I don’t lose the baby weight. There’s enough guilt and shame in our lives to have to apologize for not “bouncing back” immediately (or 16 months after..cough cough) after having a baby. So I’m not apologizing for it, OR making excuses for it. I’m working on it. But the meantime is awkward. I don’t need, or have the time, to feel crappy about myself. I know it’s not so much about my size, as it is the futile attempts to look put together when nothing I own is doing me any favors. So, because my birthday is coming up, I am going to use it as an excuse to get myself something decent to wear for a nice summer date. Maybe with a reason to wear something other than yoga pants 90% of the time I’ll be a little more motivated to eat kale. Here are a few ideas I put together (the first for casual day-dates and the second for slightly nicer evenings out) that will (theoretically) flatter my mom-bod AND keep me cool when it’s 100 degrees. (I have some items similar to a few things shown here). For the casual styles, I basically picked belly-hiding tops with wear-to-death denim. I don’t mind showing a little leg if the upper half of my body is covered with distracting colors, prints and layers. 🙂 My favorite is probably the second from the left – floral shorts are different and fun and I have a similar vest. For the evening looks, I picked mostly darker colors (more flattering on me and fine for summer evenings). My favorite item on this board are the shoes from the second look and the top on the third look. The third look is actually a bit too trendy for my liking – on someone else it’s great but I’d feel a little self-conscious. The last look is easiest though – I already have the top and similar sandals and earrings. 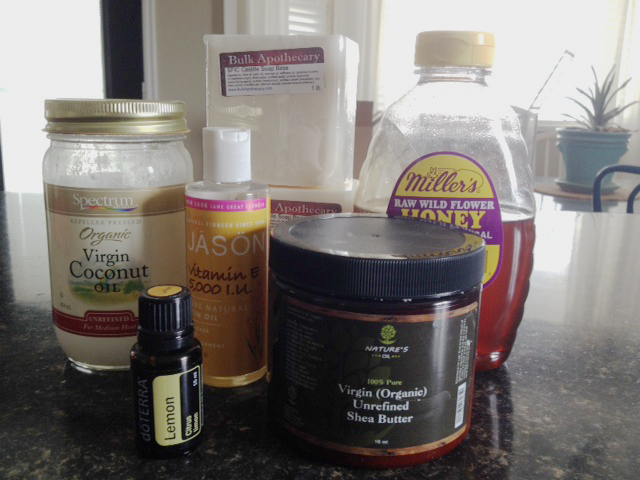 Author kelliebPosted on April 25, 2013 April 20, 2013 Categories beauty//health, DIY health/beauty&household products, green, thriftyness, treehuggerLeave a comment on diy deodorant.. no, seriously. stretch that makeup budget with some mixology. 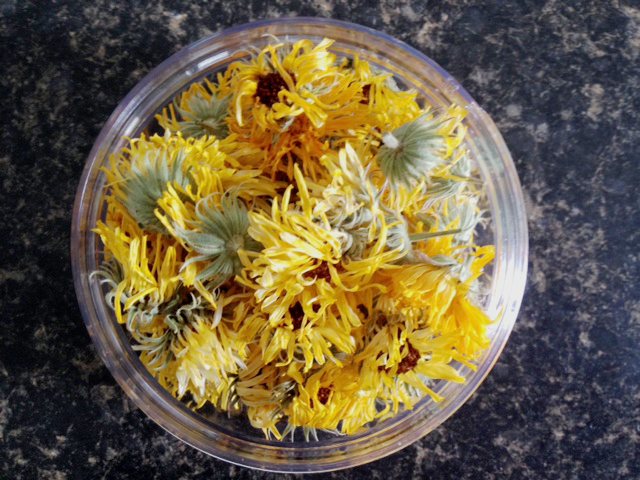 The other day I was doing a cosmetic and beauty product purge, as I’ve been replacing my commercial products with homemade varieties (more on that later). 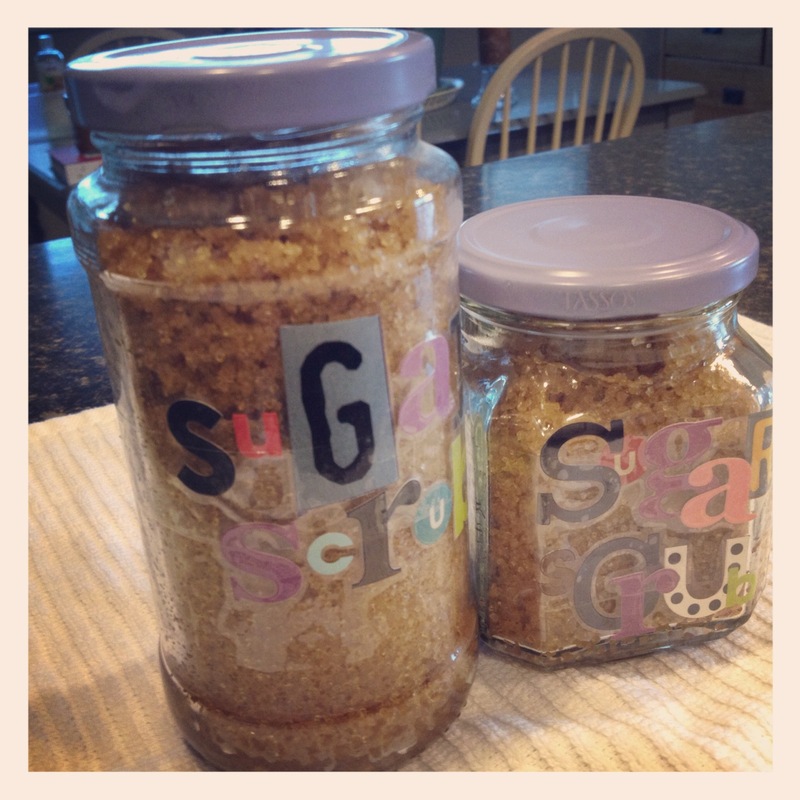 I wanted to share a couple fun and frugal discoveries I made. First, I gathered up all the eyeshadows I just wasn’t using. You know- those palettes with a couple colors you never use? Or one that I just couldn’t use because it make my eyes itchy? 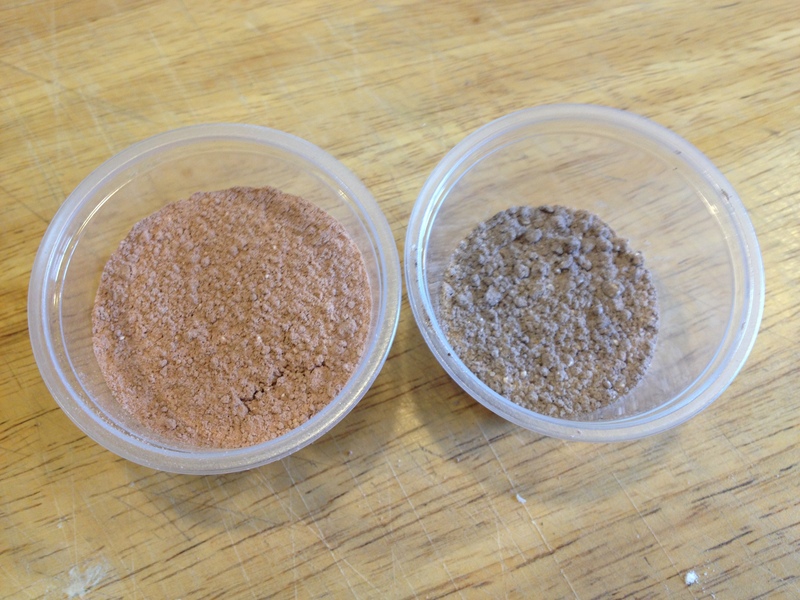 Since all my wayward shadows are random shades of brown and tan, I decided to see if I could make my own bronzing powder with them. Because bronzing powder is the only thing I always wear, besides mascara, I knew that I would definitely use it up that way! All you need for this is the shadow palettes, and corn starch. 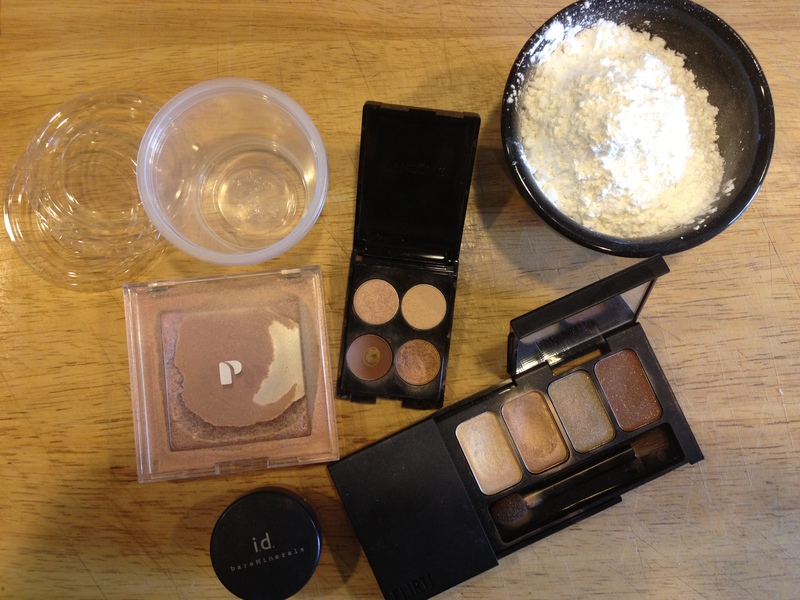 I also had a tiny bit of another bronzing palette (Physician’s Formula) and a Bare Minerals bronzing powder to mix in. I made two variations. For the first, I used my lighter, brighter shades – anything with gold shimmeries and pinky hues. Pretty! I crushed it up with the back of a spoon until it was in a fine powder, then added corn starch a teaspoon at a time until it was the color saturation I wanted. 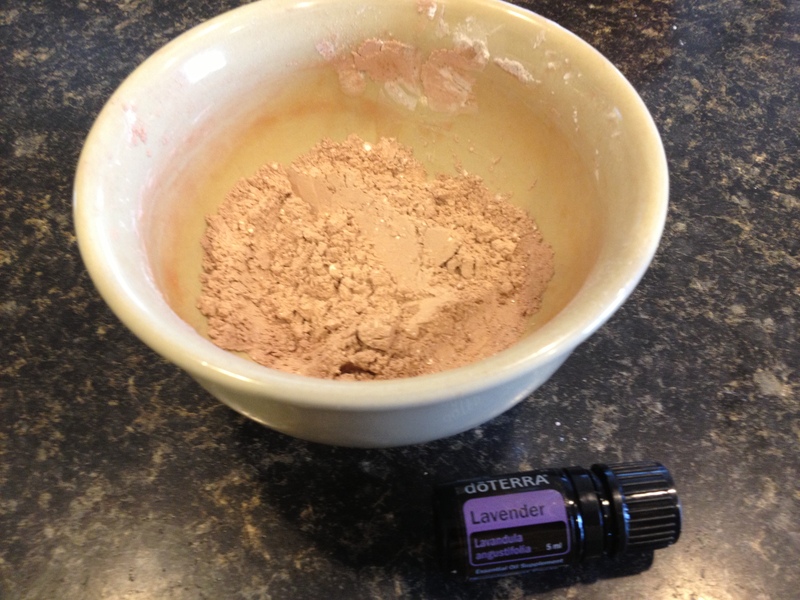 In the photo above you’ll see a little bottle of lavender essential oil – I added one drop and mixed well to give it a nice scent – but this isn’t necessary at all. This powder came out lovely! It’s a great everyday powder, over foundation or not, and has a tiny subtle highlighting. 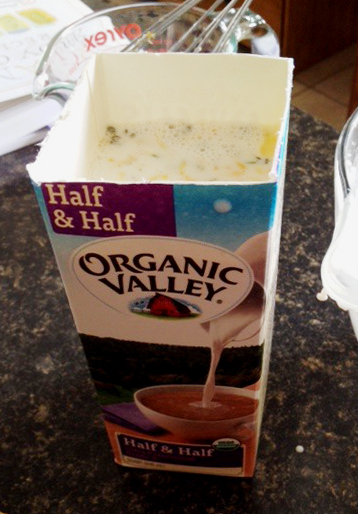 The cornstarch doesn’t dry out my skin at all – and I have dry skin! In fact, I have dry shiny skin. Which doesn’t make sense, but it’s true. This powder gives me a nice glow while still making my forehead look less reflective – haha! 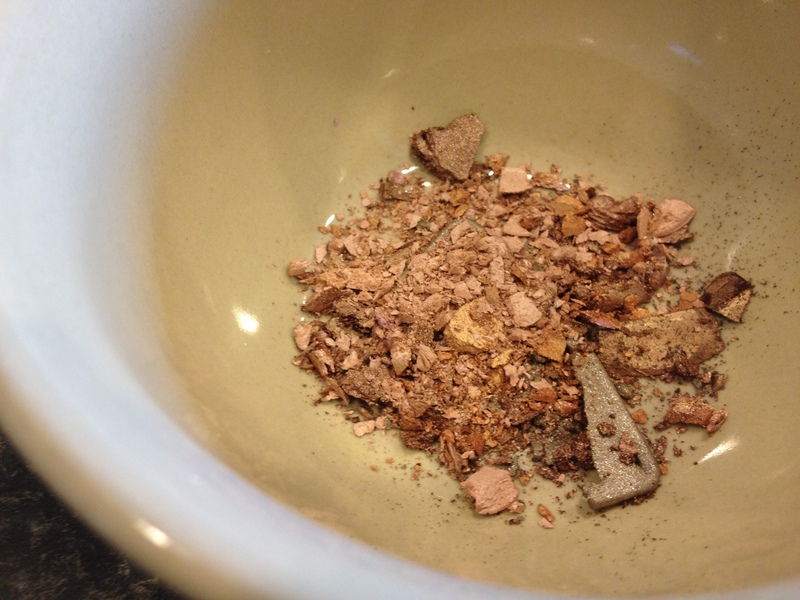 The second powder I made was created using up some browner shades, and turned out much darker – more of a contouring powder, which may be fun (if I were more adept at applying makeup! I will have to practice..). 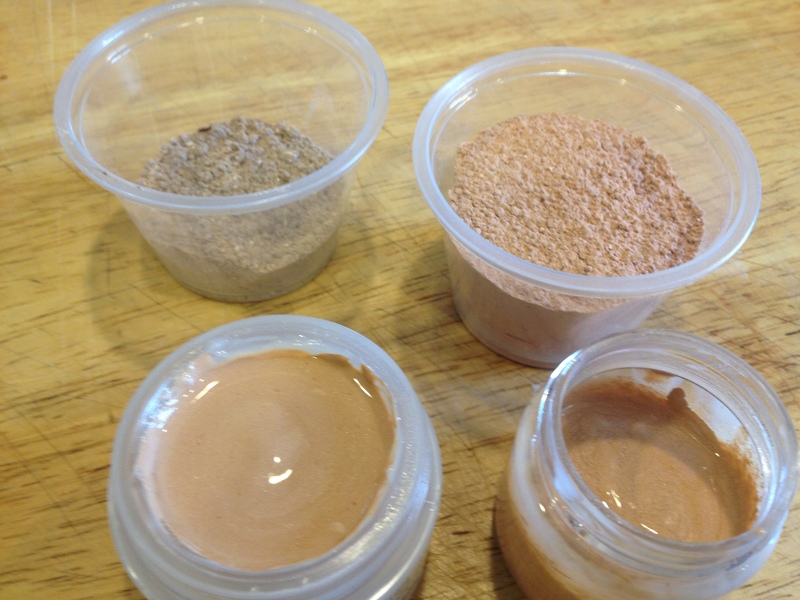 I decanted my powders into little plastic containers with lids. These are the kind you make jello shots with, but they are perfect for little projects like this. 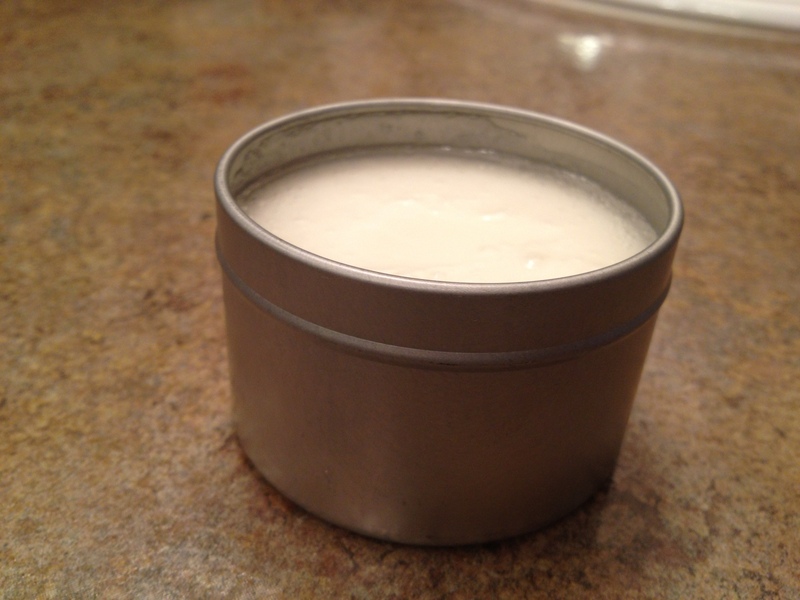 The second fun thing I made is a really easy tinted moisturizer. I am a bit of a cheapskate, but somehow I had been suckered into indulging in some seriously spendy (for me) beauty products last fall. First, some MAC foundation I didn’t actually love (it was too heavy) and some Philosophy moisturizer that justified its way into my life on a particularly low self-esteem kind of day (damn you, you genius anti-aging marketing ploys!). Well, I forced myself to use up that MAC foundation to justify the cost, and both products were running low. The little pump on the foundation was not able to get anymore from the bottle, but there must have still been $5 worth of makeup in there! 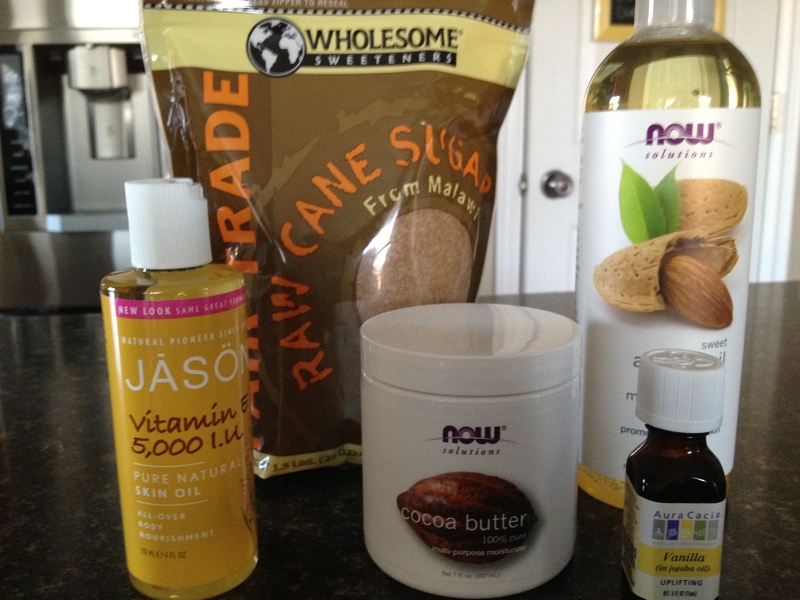 Rather than toss it, I thought I would mix the products together and make a super fabulous tinted moisturizer. 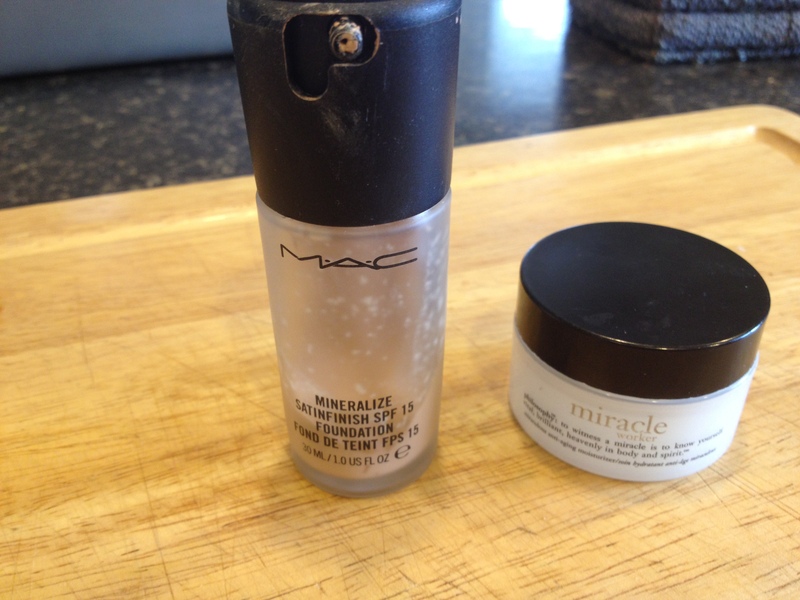 Turns out – that works perfectly – but even that tiny dab of makeup went really far when mixed with the cream, so I ended up making two small containers of it.. for the second I used the end of another face lotion I had – Boots brand. The Philosophy creme made a nicely-textured tinted moisturizer, but the Boots one is slightly oilier-feeling and I don’t know why. Since I have dry skin, a little extra oil isn’t a big deal, but I thought I would mention it. I won’t have to buy makeup for months – and because all of the resulting concoctions are lighter and brighter than the products I used to make them from, they are perfect for summer. What do you think? Do you mix up your own custom cosmetics – or would you try this? Author kelliebPosted on April 20, 2013 Categories beauty//health, DIY health/beauty&household products, green, thriftyness, treehuggerLeave a comment on stretch that makeup budget with some mixology. 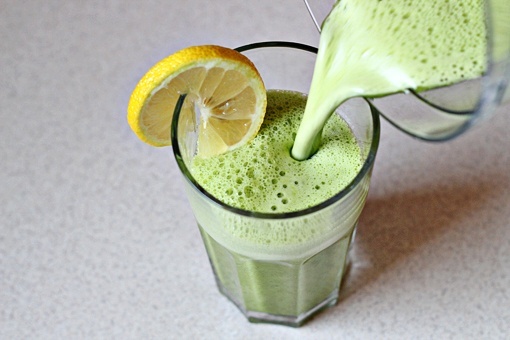 Author kelliebPosted on October 1, 2012 October 1, 2012 Categories beauty//health, challenges, eat healthy duh, fitness stuff, goals, green, vegetarian, yogaLeave a comment on fall cleanse – october is detox month!